Earlier this summer Ophelia introduced Ashley Sutton to Hong Kong, and this month, the Australian designer is teaming up with Dining Concepts once again to present J. Boroski, a brand new cocktail lounge in Central, soft open now with stylish interior design and creative bespoke cocktails with an edge to them. The new cocktail lounge is named after master bartender Joseph Boroski, a New Yorker whose previous international tenures covered hotels such as W, Ritz-Carlton and Mandarin Oriental, before taking a resident role at J.Boroski in Bangkok, Thailand. The creative cocktail master is relocating east to station himself at the Hong Kong branch of his eponymous cocktail lounge, which soft opened late last week. Designed by Ashley Sutton, the Hong Kong branch of J.Boroski is embellished with steel, copper, and imported teak wood. Soft lighting and lattice-form leather panels decorated with scarab beetles complete the unique interior design elements that serve to highlight the iconic long bar at the venue. 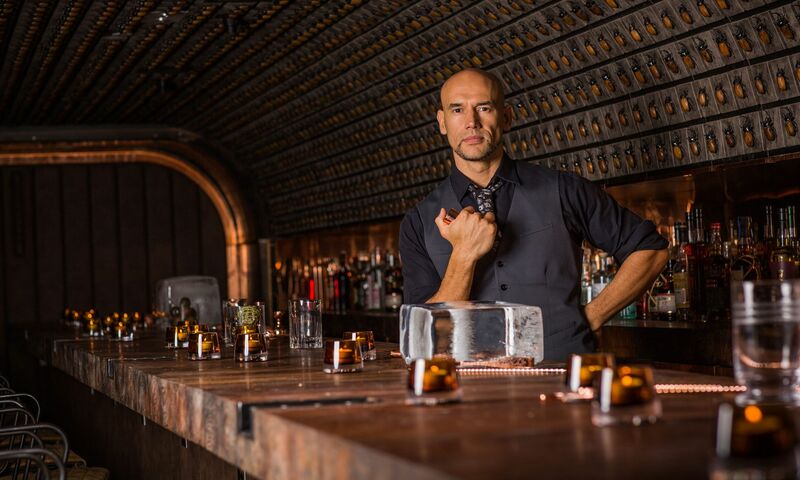 Boroski and his bar team offers a bespoke cocktail concierge service, where guests will provide details and descriptions of their preferred tipple, followed by a bespoke cocktail designed and created for each guest. These made-to-order concoctions are also created with with prime quality local ingredients as well as a wide range of craft spirits. J. Boroski is soft open now and available to guests only by way of invitation. Guests should contact the cocktail bar at +852 2603 6020 or by email at hk@jboroski.com to request an invitation and location details.